This is a fourth of a series on the importance of love in Christian theology and contemporary culture. In the third post we looked at one verse, Galatians 5:6 where ‘faith working love’ is the only thing that counts. Staying with Paul, below is just a snapshot of other texts that, together, show how love is absolutely core to his theology and experience, and that the whole fabric of the Christian life is made up of love. A couple of comments before those texts. In the New Testament, perhaps even more than today in the West, new communities of believers in Jesus were socially revolutionary. No-where else in the ancient world would you have Jews and Gentiles, slave owners and slaves, rich and poor, men and women, not only mixing together but worshiping together on a ‘level playing field’ where all were one in Christ (Gal. 3:28). Love is the only thing that could hold such communities together then, and it is the only thing that can hold diverse communities together today. A question: are Christians known, first and foremost as people of radical, other-focused love? Are churches known for being communities of love? Is love the first thing that people associate with followers of Jesus? With you and with me? If not, why not? And what can be done about it? Given the importance of love (see below), ‘lovelessness’ is not just an ‘unfortunate reality’ of church life, it is actually heresy in action. It is a denial of the very purpose of salvation and the work of the Spirit. It is a sign of counterfeit faith that is worth nothing at all. The purpose of Christian freedom from the flesh is to ‘serve one another in love’ (Gal.5:13). The ‘entire law is summed up in a single command, “Love your neighbour as yourself”’ (Gal.5:14, cf Rom.13:8-10). It is through the Spirit that believers experience God’s love (Rom.5:5). The love of God has been most supremely demonstrated in Christ’s death on the cross (Rom.5:8). God’s people are loved by God (1 Thes.1:4; 2 Thes.2:13, 16; Rom.1:7; 2 Cor.13:11, 14; Eph.1:4-5, 2:4, 3:17-9, 5:1-2; Col.3:12). Nothing in all creation will be able to separate them from his love expressed in Jesus (Rom.8:37-9). Believers are to act in love for each other (1 Thes.4:9; Rom.14:15; 1 Cor.8:1; Eph.4:2, 15-16; Phil.2:1-2; Col.2:2). In 1 Corinthians 13:1-3 Paul teaches that all Christian life and ministry is of no value at all if it is not done in love. At the close of 1 Corinthians he simply commands ‘Do everything in love’ (1 Cor.16:14). In Colossians 3:14 they are to ‘put on love’ on top of a list of other virtues. In 1 Thessalonians 5:8 Paul includes himself in the exhortation to ‘put on faith and love’. Paul often expresses his deep love for his communities (e.g., 1 Thes.2:8; 1 Cor.16:24; 2 Cor.2:4, 11:11; Phil.4:1). Husbands are to love their wives (Eph.5:25; Col.3:19). He is glad to hear of a church’s love (e.g., 1 Thes.3:6; 2 Thes.1:3). He is thankful when Christ is preached ‘out of love’ (Phil.1:16). He prays that the Lord would direct their ‘hearts into God’s love’ (2 Thes.3:5). Rather than use apostolic authority, he prefers to appeal to Philemon about Onesimus ‘on the basis of love’ (Philem.1.9). All this is why I like to call Paul ‘the apostle of love’. Last Friday we had the great pleasure of hosting Prof Ben Witherington for IBI’s 2017 ‘Summer Institute’. The theme was ‘Rethinking Romans’. IBI was full and it was a terrific day of teaching on Paul’s most famous epistle. It was also a pleasure and privilege to meet Ben and his wife Ann. He is remarkably prolific and has blessed the Church worldwide with a lifetime of top-class scholarship made accessible for teachers, preachers and lay believers. He is also a top-class communicator. There are lots of video resources out there, but what doesn’t come over in those more formal recordings is Ben’s wit and humour – it was a fun day as well as an educational one. Thank you Ben. Romans is perhaps the most influential letter ever written in human history. Every chapter resonates down the centuries of Christian theology. Themes like Christian anthropology, sin, justification, ethics, pneumatology, eschatology, predestination, Israel and the church, and Christian morality all emerge in the course of Paul’s persuasive argument for Jewish and Gentile Christians in Rome to be united. For example, take justification. From Luther, Calvin & co onwards – right on through to the New Perspective on Paul from the late 1970s to the 1999 Joint Declaration on the Doctrine of Justification (JDDJ) between the Roman Catholic Church’s Pontifical Council for Promoting Christian Unity (PCPCU) and the Lutheran World Federation – justification has been a continuously ‘live’ theological issue for centuries and Romans is at the heart of it all. I’m not going to recount all that was covered in a packed day, but here are 8 snapshots. For more you can always go to a copy of this book sitting on my desk! Romans 16:7: ‘Greet Andronicus and Junia’ – a husband and wife team, both apostles, who are noteworthy in that group.’Deal with it’ said Ben in regard to Junia being a female apostle. They have been jailed with Paul. Women did not tend to go to jail in antiquity. This is an indication of a remarkably courageous and counter-cultural witness which is also a deconstruction of patriarchal paradigms. Following the work of Richard Bauckham, Ben suggested that Junia – which is the Latin name of Joanna – is the SAME person who is a patron of Jesus in Luke 8:3. Andronicus and Joanna were ‘in Christ before me’. Was this Joanna, wife of Chuza, of the gospels who was a patron of Jesus who then later became a co-worker of Paul? She went to Jerusalem with Jesus. Chuza could have had the Latin name Andronicus, or she may have been widowed and remarried. If so, Ben suggests that we should think of TWO prominent names among the Jerusalem believers – that of the apostle Peter AND the Apostle Joanna (Junia). Snapshot 2: What is Romans all about? Ben argued at length that Romans is best understood through the lens of ancient rhetoric – hence his series of NT ‘socio-rhetorical’ commentaries on the New Testament. The key ‘thesis statement’ of Romans is, he argued, Romans 1:16-17. The whole thrust of the letter is aimed at Gentile believers in Rome to understand their place in God’s story of redemption, and the place of Jews, and Jewish believers in Jesus, in that story. Paul’s big concern is to ‘level the playing field’ between Jewish and Gentile Christians and to appeal for real embodied unity, love, and common worship among the Christian communities in Rome. The gospel is first to the Jew. Gentiles are not to think more highly of themselves than they should. It is God’s power and God’s gospel that graciously includes both Jews and Gentiles. The gospel is shocking and surprising – a crucified Messiah. But rather than be ashamed of the cross (as everyone in antiquity would have been), Paul is determinedly not ashamed. The only explanation for embracing the cross in this way is if the cross has been shown to be a place of God’s victory over death – in the resurrection of the Son. When if comes to righteousness, Ben contends that it would be better if the dikaio word group was not translated as ‘justification’ at all. It is too redolent of legal / impersonal language to capture the way righteousness is all about God setting relationships right. It is all about moral transformation – that is the heart of Paul’s concern for the believers he writes to in the New Testament. Ben is a Wesleyan. His commentary on Romans is one of the few written from an Arminian perspective. While he said he has much to thank the Reformers for, not surprisingly he interprets Romans in a very different way to traditional Calvinist readings. For example, take Romans 4, Abraham and righteousness. The righteousness in question is that of Abraham. It is NOT Christ’s righteousness somehow imputed to believers. God sees us as we are. Ben sees imputed righteousness as a ‘legal fiction’. 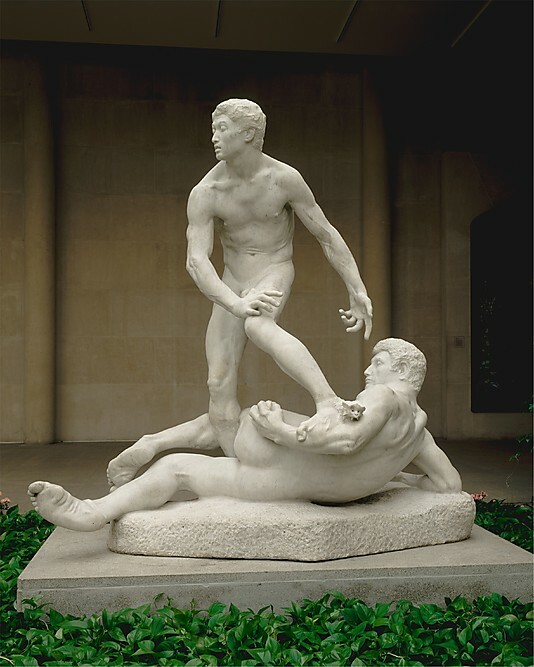 Imputed righteousness is not there in Romans 4 – it is reading back into the text by the Reformers who were overly shaped by Latin translations of the text. What is being talked about is an imparting of righteousness to believers, in the Spirit which leads to holiness and moral transformation. Luther’s presuppositions led him to read Romans 7 as typical of the Christian life. But it is a total misreading of the text to see it as a description of the normal struggles of the believer (an internal conflict of flesh versus spirit). What Paul is doing is talking about the pre-Christian condition through the lens of Adam. I agree wholeheartedly with this view of flesh and Spirit. For more on flesh / Spirit see this post. My chapter ‘Solus Spiritus’ in The Apostle Paul and the Christian Life argues, as the title suggests, for the Spirit being at the core of Paul’s understanding of new creation life that leads to a transformed moral and ethical life in the world. This is not to say Christians cannot sin, it is to say that Christians are without excuse. Whatever your struggles are, greater is he who is in you than he who is in the world. Call on the Spirit of God. We are in the process of being sanctified by Jesus Christ. I am saying that we sin against the grace of God. God’s grace and Spirit is sufficient to help us avoid intentional sin. Christians are MORE responsible for their sin than non Christians. This reflects the high expectations of holiness in the Wesleyan tradition – and of course Ben would add – Paul and ultimately God himself. So Christians should be eagerly pressing on to the goal of the new creation and resurrection life to come. If we are not, we are failing to fulfil our calling. Ben argues that this is a long way from God fore-ordaining all things such that cancer, violence, injustice and evil are all somehow part of his good plan. God is not the one who blights us, sends us disease, and afflicts us. Not everything in this world is of God – there are powers of darkness and evil at work. The ones for whom all works together for good are not some abstract humanity – they are the ones who love God. Paul’s concern is the destiny of those who love God. This is a word of encouragement. Today we can know that if you are in Christ you have a great destiny. Snapshot 6: Can you lose your salvation? Basically the answer is ‘Yes’. Ben argued that ‘lose salvation’ is the wrong way to look at it. Paul’s warnings are not about misplacing your faith – they are about intentional apostasy. Calvinism does not take Paul’s warnings at face value – or the warnings of Hebrews 6. It is clear, he contends, that apostasy is possible. This is ‘throwing away your salvation’ rather than losing it. As is well known and I have posted about here, BWIII is not a fan of NTW’s equating Israel with the Church. The former argues that Romans 9-11 is about how the Jews are TEMPORARILY broken off from the people of God, but God is not finished with them yet. When the full number of the Gentiles is gathered in, there will be a divine overcoming of what Paul calls the ‘impiety of Jacob’ – which is non-Christian Israel. The church is not Israel. Israel will be saved when Christ returns – by faith in Jesus, by grace. I’m still figuring out this one. Reading my old post and listening to Ben, the differences are not that great. There is one story, the only way in is by faith in Jesus, the Mosaic law has come to an end. The Abrahamic covenant has been fulfilled. The difference is BWIII’s insistence that ‘Israel’ does not mean church and Israel has a distinct future which involves many Jews being brought into the story of Jesus. You do not belong to you. You belong to the Lord. Live accordingly through faith in Jesus and by obedience to the Spirit. You can’t get much more counter-cultural to Western individualism than that. Another rich chapter in The Apostle Paul and the Christian Life: ethical and missional implications of the New Perspective is by Timothy Gombis of Grand Rapids Theological Seminary. (His Paul: a guide for the Perplexed is excellent by the way). Just to reiterate the context of this discussion: the big question of this book is how does Paul the Jew – now a follower of Jesus the Messiah – envision a life pleasing to God? How does he see the relationship with Jewish belief and practice of his day [shaped around the Torah] and what it means for both Jews and Gentiles to live a life worthy of the gospel? What are the implications of these questions for living the Christian life in the 21st century? He comes at the issues via two angles: first, how, for Paul, the Christian life is situated and framed by the overarching narrative of Scripture; second the dynamic of the Christian life originates and is sustained by the Spirit. Jesus comes (dramatically) to be understood by Paul as the centre and fulfillment of this Scriptural narrative. Christology is at the heart of Paul’s entire theological vision. Jesus is the true human who renders to the creator God a faithful obedience embodied by a life of self-giving love for others. Jesus Christ, then, and his relation to the entire range of God’s redemptive purposes, becomes the context within which the Christian life takes place and the template for what it involves. Jesus redeems the failed story of Adam and Eve. The big point Gombis is making here is that a NT vision of the Christian life does not emerge out of nowhere – it is fully consistent with God’s agenda to redeem and restore (save) his original creation order. And the Christian life is lived out in community – the new body, the body of Messiah Jesus. The paradigm shift here is that it is made up of both faithful Israelites and faithful non-Israelites. First, the Spirit is the promised eschatological presence of God among his people. The new age has come, the kingdom of God is here and evident within his people who are new creations in Christ. Third, since churches are made up of people united to Christ, they are united to each other (the body of Christ) – members of one another (Eph 4:15). Christian life cannot be extricated from his vision of the church. In fact, while much of Protestant theology has focused on the individual in abstraction from the church, we can say quite confidently that Paul would have almost nothing to say about the Christian life if he had to speak of it apart from the church. shaped by the communal experience of being the corporate people of God. At the same time, Paul doesn’t diminish the individual in favor of the community, so it may be better to say that Paul conceives of individuals-in-community. This runs counter to the typical Protestant starting point of the individual as the recipient of salvation and the object in whom God is producing the character of Christ through sanctification. That is, it is somewhat typical to conceive of salvation as worked out in individuals who then must also reckon themselves part of a church made up of other individuals who are also having salvation worked out in them. This theological perspective comes not from Paul’s texts, however, but from a Western tradition shaped by individualism. And it is modern individualism that has shaped popular interpretation of Paul’s teaching on life in the Spirit. The ‘Flesh’ and ‘Spirit’ contrast of Galatians 5 is not some internal individual struggle but two competing realms of power. The command to be ‘filled by the Spirit’ in Ephesians 5:18 is not to individuals but to the corporate body of the church. Protestant, and especially Reformed, interpreters bristle at the suggestion that Paul employs the notion of justification by faith in an effort to unify Jewish and gentile Christians in Rome. When one follows the grammar of Paul’s argument, however, it is difficult to deny that this is what Paul is doing. He writes to a church (or network of churches) in Rome to unify them in the face of developing division. He argues in Romans 1:18–3:20 that all those in the Roman churches were equally condemned under sin—not just gentiles—and in 3:21–31 Paul claims that all Christians have been justified by faith without any reference to ethnic identity. Justification by faith is vital for Paul, but it functions as a doctrine for the unity of the church, vindicating the saving and redeeming purposes of God. ‘Unity’ means concrete things – loving one another; treating the poor with dignity and respect (1 Cor 11); forgiveness; carrying each other’s burdens; mutual care and multiple similar examples. God and thus enjoyment of divine empowerment ought to relieve Protestant concerns about potential anthropological optimism. That is, many have objected to a “new perspective” approach to Paul on the grounds that it does not share a critique of works and works of law that reflects the complete inability of humans to adequately obey God or the Mosaic law. We may admit that Paul is not necessarily optimistic about humanity, but he is also not reticent about the necessity of all humanity to obey the one true God revealed in Jesus Christ. This is likely because he discerns the reality that all those who obey God in Christ can do so only because of the divine empowerment enjoyed by all those who have been united to Christ by the Spirit. I agree with him – too much popular Protestant spirituality is shaped by an overly-pessimistic view of the Christian life (‘we are justified sinners’ or ‘we are simply beggars telling others beggars where to find bread). Note, I did not say an overly-pessmistic anthropology. It seems to me that Paul is (rightly) negative about humanity’s lostness – just look around. But he is also hugely confident about God’s ability to transform that lostness through the empowering presence of the Spirit. 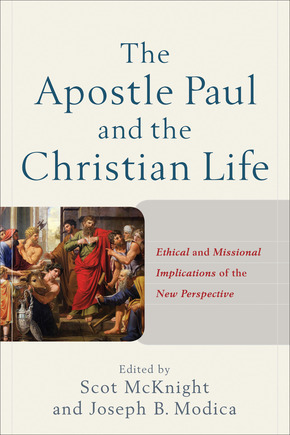 J D G Dunn has the opening chapter in The Apostle Paul and the Christian Life: ethical and missional implications of the New Perspective edited by Scot McKnight and Joe Modica and published by Baker Academic last month. Just to reiterate the context: the big question of this book is how does Paul the Jew – now a follower of Jesus the Messiah – envision a life pleasing to God? How does he see the relationship with Jewish belief and practice of his day [shaped around the Torah] and what it means for both Jews and Gentiles to live a life worthy of the gospel? What are the implications of these questions for living the Christian life in the 21st century? Back in the early 80s Dunn was the guy who coined the term the ‘New Perspective’ on Paul and is one of the triumvirate of key NPP scholars (E P Sanders and N T Wright being the other two). Dunn has written hundreds of thousands of words related to Paul – his letters, theology and life. He has several publications related to Galatians in particular and this essay is in a sense a distillation of that previous work. It is, dare I say, surprisingly untechnical and straightforward. The heavy lifting has all been done elsewhere; here Dunn is in effect doing an extended Bible study on Galatians as a guide to how Paul sees the Christian life. One obvious fact: faith (pistis) and Spirit (pneuma) are two words which are peppered throughout the letter (both appearing over 20 times). They point to how faith in Christ and the work of the Spirit are, for Paul, absolutely central to the Christian life. From this opening platform, Dunn unpacks each in turn. First, faith. For someone who has, at times, been accused of undermining Reformation truth of justification by faith alone, it is striking (and probably no coincidence) how this chapter is an extended articulation and robust defence of that doctrine. Paul opposed Peter because ‘To demand “works of the law” in addition to faith, as a necessary expression of faith, was to destroy the fundamental role of faith.’ (7). You can’t get much more classically sola fide than that …. But if justification is by faith alone, that justifying faith is never separated from the other great theme of Galatians – the work of the Spirit. Dunn calls this the counterpart to faith. Paul confirms that for him the most important aspect in the process of becoming a Christian was the fact that he and they had received the Spirit. It was the entrance of the Spirit into their lives which made the vital difference and departure from a life dominated by self-service. It was the work of the Spirit in their lives which ensured the inheritance of eternal life. Beside that, everything else was secondary. And anything which distracted from or confused that central offer and promise of the gospel was a corruption of and distraction from the gospel. If the Christian life began with the reception of the Spirit, then it was also to be lived in accordance with the Spirit. What, do you think, are contemporary distractions and detractions from this ‘simple’ gospel? Christian schizophrenia? Do believers have two competing ‘natures’? In various places, Paul develops a strong contrast between the Spirit and the flesh (sarx) – see Galatians 5 and elsewhere (Rom.8:3-17, Phil. 3:3). May I humbly suggest that most Christian interpretation of what Paul means here is just flat out mistaken. And may I also suggest that such a view has damaging pastoral and theological implications (of which more below). I was taught, and maybe you have been too, that this refers to an internal spiritual conflict within the Christian between our ‘sinful nature’ (literally sarx = ‘flesh) which is warring against our new ‘spiritual nature’. In effect, in this view, Christians have two natures – the old and the new, which exist alongside each other within us for as long as we live. We have constantly to choose to live to our higher ‘spiritual nature’ over our lower ‘fleshly nature’. This is what Luther taught: ‘there be two contrary captains in you, the Spirit and the flesh’ – and innumerable commentators have followed his lead ever since. For some this leads to a pretty pessimistic and limited view of the Christian life as a virtually equal struggle between two natures; flesh and Spirit. 14 We know that the law is spiritual; but I am unspiritual, sold as a slave to sin. 15 I do not understand what I do. For what I want to do I do not do, but what I hate I do. 16 And if I do what I do not want to do, I agree that the law is good. 17 As it is, it is no longer I myself who do it, but it is sin living in me. 18 For I know that good itself does not dwell in me, that is, in my sinful nature. For I have the desire to do what is good, but I cannot carry it out. 19 For I do not do the good I want to do, but the evil I do not want to do—this I keep on doing. 20 Now if I do what I do not want to do, it is no longer I who do it, but it is sin living in me that does it. 21 So I find this law at work: Although I want to do good, evil is right there with me. 22 For in my inner being I delight in God’s law; 23 but I see another law at work in me, waging war against the law of my mind and making me a prisoner of the law of sin at work within me. 24 What a wretched man I am! Now, you can easily see how this link can be made. Romans 7 does describe in graphic terms an inner angst of two competing inclinations. But I’m with Gordon Fee and many others, in finding this completely at odds with Paul’s theology of the Christian life. There are various interpretations of Rom 7:14-24: one asks whether Paul is speaking in the third person as a faithful Jew under the law – yet the law does not have the power to overcome sin? But however you cut it, the idea that Christians have a ‘flesh’ nature and a ‘spiritual’ nature co-existing and giving shape to their life ‘in Christ’ is profoundly wrong-headed. Life according to the flesh in Galatians 5:19-21 describes a life in total opposition to life in the Spirit. Such life will NOT inherit the kingdom of God and leads to destruction (Gal.6:8, cf Rom.8:13). So, sorry brother Martin, that’s pretty hard to square with ‘flesh’ life being a normal expected part of a Christian’s identity! Take Romans 8:5-8 and Paul’s discussion of life kata sarxa (according to the flesh) and life kata pneuma (according to the Spirit). Rather than this somehow talking about two inner natures in every Christian, Paul is contrasting two utterly incompatible ways of life. Life according to the flesh cannot please God (Rom.8:8) and is a life hostile to God (8:6). Far from continuing to have an inner ‘flesh nature’, for the believer, the flesh has been crucified. It is dead (Gal 6:14). To understand the Christian life as an endless inner (and virtually equal) duel between Spirit and Flesh drastically undermines Paul’s confidence and expectation of the transforming power and presence of the Spirit in a Christian’s life. It also, wrongly, portrays Christian identity in almost schizophrenic terms. How have you interpreted and understood flesh versus Spirit in your own life? What have you been taught in church? And if flesh does not equal an ‘inner nature’ within believers, does this somehow suggest that the Christian life should be without struggle and difficulty? In other words, does rejecting Luther’s view lead us into some sort of unreal hyper-spirituality that is doomed to drive us to guilt and failure when we continue to sin? (For sin we will). How then does it ‘work’ that someone is transformed into the image of God’s son? – if that is the ultimate goal of the Christian life. Yes, the new life begins with death – and is sustained by a continuing ‘putting to death’ of the old. But how? How can the old be done away with? How is the Christian life more positively understood than death, if ‘death’ = not living a certain way? The answer for Paul (and other NT writers in different ways) is the Spirit of God. Notice how Paul reminds the Roman Christians of the decisive moment of their conversion. He points them to the role played by the Spirit and includes himself along with his readers – see the ‘our’ and the ‘us’. In other words, this experience is something normative for every believer, whether Paul or the Romans or you or me. We are very familiar with the idea that by faith alone, only through the grace of God, believers are justified. But are we as keen to insist that by faith alone, only through the grace of God, believers receive the gift of the Spirit, who brings them into a dynamically transformed experience of God’s love? An experience captured by the image of a generous overflow of love into the heart, which is the core of human identity. It is impossible to know God apart from the Spirit. This is why Paul insists again and again that it is the Spirit alone who can give life. Romans 8:13 living according to flesh is death but if by the Spirit put to death the deeds of the body, you will live. The image of drinking water is one of dynamic life within the body of Christ. The basis for this transforming life is the is the death and resurrection of the Son. What is his (life over death, victory over sin) now becomes ‘ours’. Put another way, pneumatology and eschatology are inseparable. Life in the Spirit now is a present experience of life in the new age to come. The future has been brought right into the here and now. Christian hope isn’t merely that one day things will be better. It is a sure and certain experience that God’s future age is already here, witnessed in the outpouring of the Spirit into believers hearts and lives.